Bud Traynor was born in 1944 in Athens, Georgia. 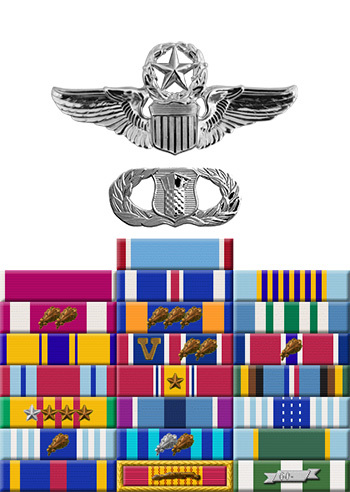 After completing his bachelor's degree at the University of Georgia, he entered Officer Training School on August 18, 1967, and was commissioned a 2d Lt in the U.S. Air Force at Lackland AFB, Texas, on November 17, 1967. Lt Traynor next completed Undergraduate Pilot Training and was awarded his pilot wings at Laughlin AFB, Texas, in January 1969, followed by service as a C-133 Cargomaster pilot with the 1st Military Airlift Squadron at Dover AFB, Delaware, from January 1969 to June 1971. He served as a C-7 Caribou pilot with the 458th Tactical Airlift Squadron at Cam Rahn Bay, South Vietnam, from June 1971 to March 1972, and then as a C-5 Galaxy pilot and instructor pilot with the 22nd Military Airlift Squadron at Travis AFB, California, from March 1972 to June 1976. During this time, Capt Traynor participated in Operation Babylift, a mission to evacuate children from South Vietnam during the Fall of Saigon in April 1975, and was the pilot aboard a C-5A that crashed after taking off from Tan Son Nhut Airport. His next assignment was as Aide to the Commander of 22nd Air Force at Travis AFB from June 1976 to April 1978, followed by service as Assistant and then Chief of Programs Analysis with Headquarters Military Airlift Command at Scott AFB, Illinois, from April 1978 to August 1980. 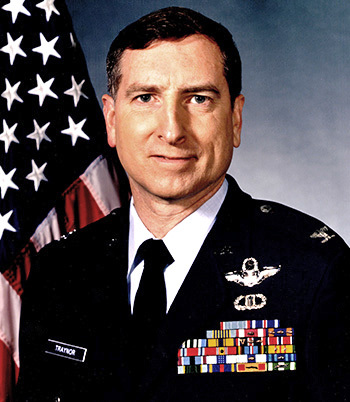 Maj Traynor attended Air Command and Staff College at Maxwell AFB, Alabama, from August 1980 to July 1981, and then served as Operations Staff Officer in the J-3 Directorate with U.S. European Command in Stuttgart, West Germany, from July 1981 to July 1984. His next assignment was as a NATO Exercise Planner with Supreme Allied Headquarters in Belgium from July 1984 to August 1987, followed by service as an Instructor with Air War College at Maxwell AFB from August 1987 to April 1988. Col Traynor served as Director of the Combat Employment Institute in the Center for Aerospace Doctrine Research and Education with Air University at Maxwell AFB from April 1988 to May 1989, and then as Vice Commander for the Air Force Combat Operations Staff with Headquarters U.S. Air Force in the Pentagon from May 1989 to December 1992. His final assignment was as Commander of the Air Force Flight Standards Agency at Andrews AFB, Maryland, from December 1992 until his retirement from the Air Force on October 1, 1995. The President of the United States of America, authorized by Section 8742, Title 10, United States Code, awards the Air Force Cross to Captain Dennis W. Traynor for extraordinary heroism and airmanship while engaged in a humanitarian mission as Aircraft Commander of an Air Force C-5 aircraft at Saigon, Vietnam on 4 April 1975. On that date, the aircraft, carrying 330 passengers and crew, experienced a serious inflight emergency which could have resulted in the loss of life for all aboard. With no aircraft controls except one aileron and the engines, he guided the crippled aircraft to a crash landing in a rice paddy, thereby saving the lives of 176 of the people aboard. Through his extraordinary heroism and superb airmanship, Captain Traynor reflected the highest credit upon himself and the United States Air Force.